In recent years, the craft burger movement hasn’t really evolved that much. The creativity behind the toppings, patties, and accompaniments has grown, but how we think about the burger itself has remained constant. One restaurant in Downey, California, is out to change all that with their flaming tableside burger presentation. 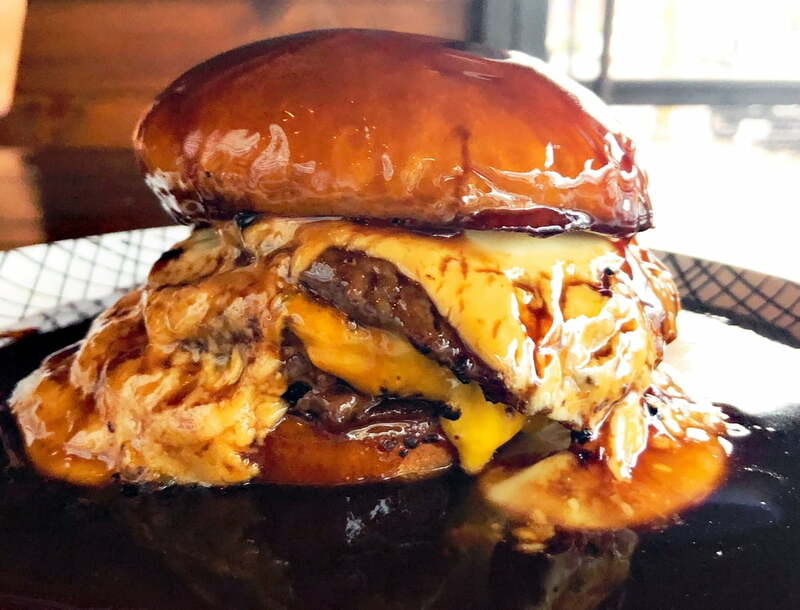 Aptly named the “Fyre Fest,” this burger from Lock & Key Social Drinkery is changing how we serve the classic American meal. The burger itself comes with a meaty stack of three cheese-covered patties, drenched in an aged Cheddar Mornay sauce. When it arrives at your table, it comes with a gravy boat filled with truffle demi-glace and a shot of overproof Jamaican rum. The fireworks start when it gets lit on fire and drenched all over your burger, resulting in one of the most flavorsome fork-and-knife burgers you can find. Lock & Key doesn’t stop with the creative flair there. Their menu offers up a variety of burgers that bring something different to the presentation. Whether that’s their literally smokey Doc Holliday burger or their Filet Mignon-loaded take on a Big Mac, the burgers here are starting to change the discussion on how we approach the old-school sandwich. You can view some of Lock & Key’s most creative burgers in the above Foodbeast YouTube video.